When a home remodeling project calls for new flooring, you need a resource with a wide assortment to suit any design taste and need. For that, ProSource® of Erie is the choice. With the widest selection of products, including carpet, hardwood, vinyl, tile and laminate, in a multitude of colors, styles and sizes, you’re sure to find the perfect floor for the job. Plus, you’ll stay on budget with our low, wholesale prices, and have a dedicated account manager to guide you. You’re sure to be floored by all ProSource has to offer. 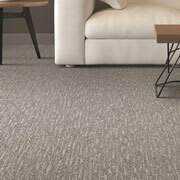 Carpet is a classic flooring option. It’s comfortable under foot and appealing to the eye. Choose from solid colors or designer patterns. We provide an abundance of selections that offer comfort, durability, and stain and wear protection. Whether you’re looking for wall-to-wall carpet or prefer to have it bound for an area rug, there’s a selection to suit your needs. 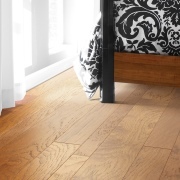 When you’re in search of a more naturalistic flooring option, hardwood is always a good choice. Wood gives the floor a distinct look. 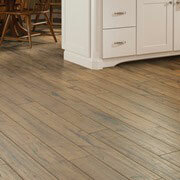 Best of all, hardwood pairs well with any home motif or design, from rustic to traditional to modern. 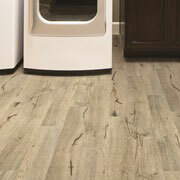 If you desire the look of hardwood or tile, but the budget may not allow it, laminate is a great consideration. Today’s options offer fantastic styles matched with great durability. The versatility of tile makes it a great choice indoors or outside, on the floor or on the wall, in the entry or the bathroom. From larger tiles to smaller mosaics, in what may seem like an endless assortment of shapes and colors, any home remodeling project can shine with the addition of tile. 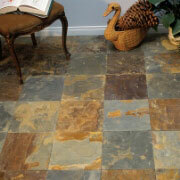 The evolution of vinyl has driven its emergence as a top flooring option. Choose from looks of tile or wood, or make your selection based on type such as luxury vinyl tile, luxury vinyl planks, engineered stone, or the every-improved sheet goods. Vinyl is a flooring that won’t disappoint.